Benjamin Gonson is an experienced litigator who is primarily responsible for the firm’s reinsurance practice. 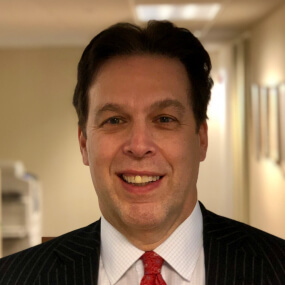 In addition to having extensive experience in all aspects of insurance coverage and reinsurance law, Mr. Gonson’s litigation experience includes Product Liability, professional liability, general liability, New York labor law and appellate practice. He has written articles and appeared as a guest lecturer for numerous insurance and reinsurance organizations including the International Association of Claim Professionals (formerly ESLCA), the New York Insurance Association, Inc., the Reinsurance Association of America, the Intermediaries and Reinsurance Underwriters Association, the Association of Insurance and Reinsurance Run-Off Companies and the Broker and Reinsurance Markets Association.